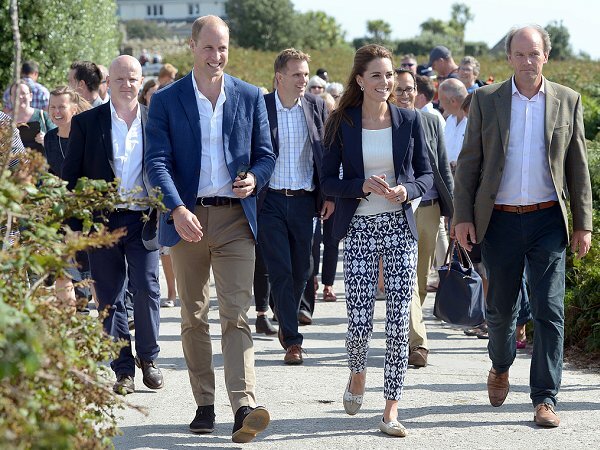 Prince William, Duke of Cambridge and Catherine, Duchess of Cambridge visited the island of Tresco in the Isles of Scilly. 02 September 2016. Prince William and Catherine Duchess of Cambridge visit to the Isles of Scilly. I love them! 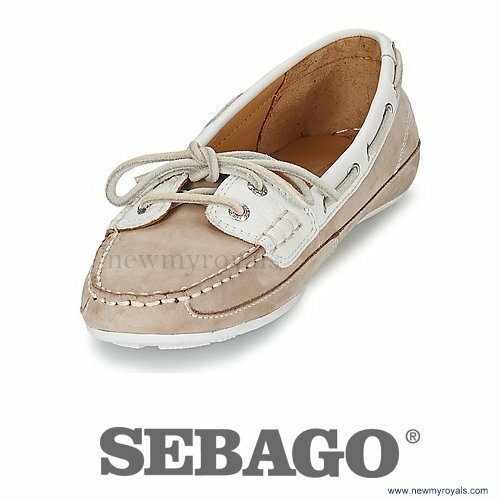 I also have a pair just like them .....so maybe I am not objective. They are not that bad lizzie ...come on now. They are fun! Avec des chaussures à talon c'est vulgaire. Good look from the waist up. The rest--not so much. Am glad she pulled hair back a bit. Her constant twitching at her hair when it's down is annoying. 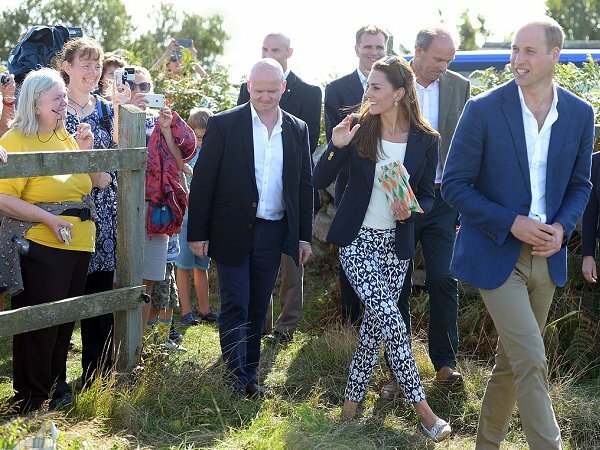 OOPS my mistake - didn't realise she kept the same outfit on. What a lovely, casual outfit. 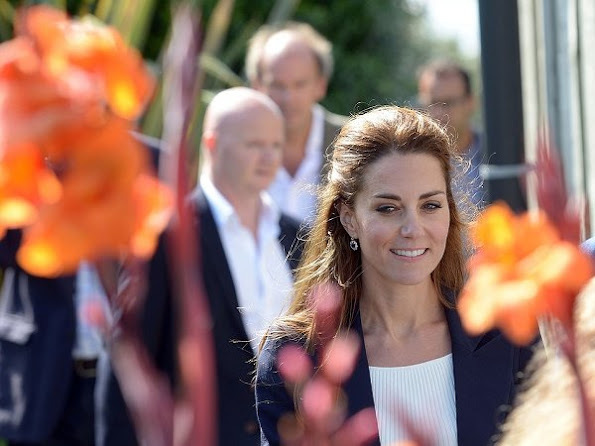 I love when the Duchess always adds something new and exciting to her traditional wardrobe. I love the whole look. Its different for her but I really like it.